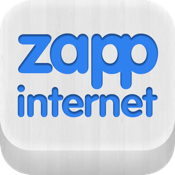 Zappinternet is the fastest way to waste your time. And we’ve added a nice playlist mode with a cool swipe feature to make your experience even easier. It’s finger time!!! Just slide your finger on the screen to move forward. Our recommendation: Improve your zapping experience by reviewing the videos loudly and say something like WTF!!? Be the first of your friends in watching the trending videos always on Zappinternet. And please! Don’t forget to come back every day into our Most Recent section and check out our new uploaded contents. Share videos by email, Facebook and Twitter and add them to your Favorites list to show what you watched to your work mates, at working time if possible. Try it, enjoy it and remember: Every time you install this app, good vibes spread around!